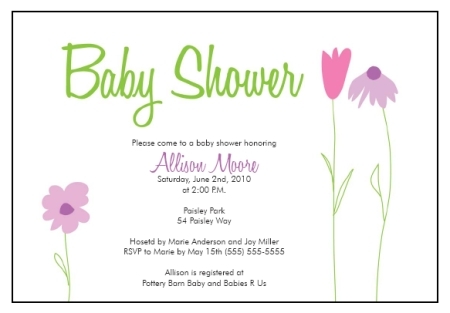 Use these printable baby shower invitation templates to customize, print, and make your own baby shower invitations for a inexpensive solution to your baby shower planning needs! 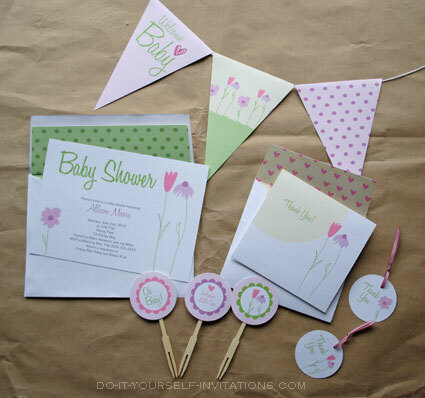 Our flower baby shower invitation design is perfect for just about any baby girl shower theme! 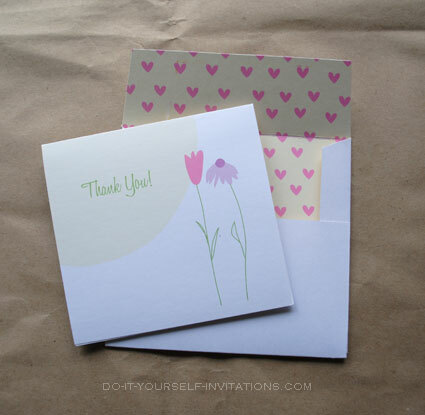 Our invitation templates are available for instant download in the form of a printable PDF file. 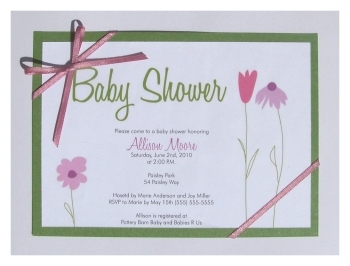 You can customize the invitations by changing the invitation wording, fonts, size, and colors. 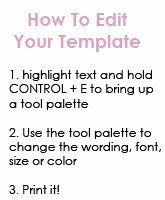 They are even designed to print 2 to a page onto a 8 1/2" by 11" sheet of paper so that you can make two invitations out of a single sheet of paper. 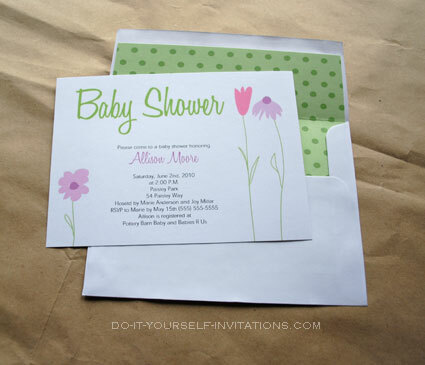 To make your own invitations simply download our printable invitation template, customize it to make it your own, and then print it onto a nice sturdy card stock or paper of your choice. 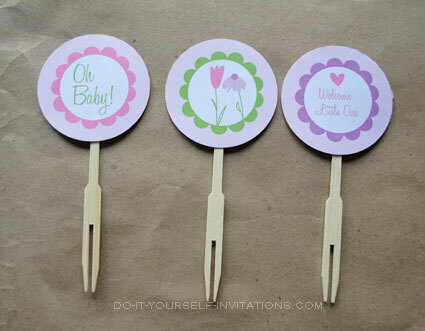 You can use our helpful cutting guidelines to cut the invitations to size. 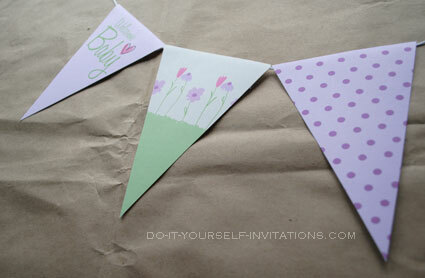 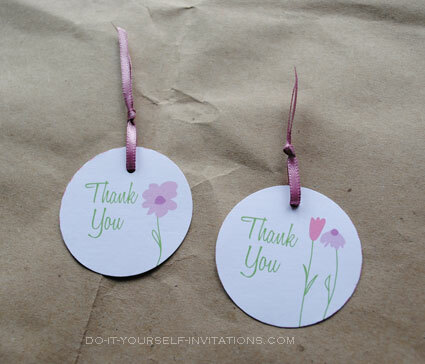 Use the invitations as is or go a step further and get creative!